In many parts of the country, the concern of exposing children to chemicals is so great that city parks and public areas where children play have banned the use of herbicides. Keeping grass and weeds out of a yard where your children play can be tricky without chemical intervention. But instead, you can try an organic method for killing weeds and keeping grass out of a play area. Place a mulching landscape cloth down beneath play areas to keep weeds from taking root beneath them. Mulch over play areas with 12 inches of wood chips to create a crash space for children. 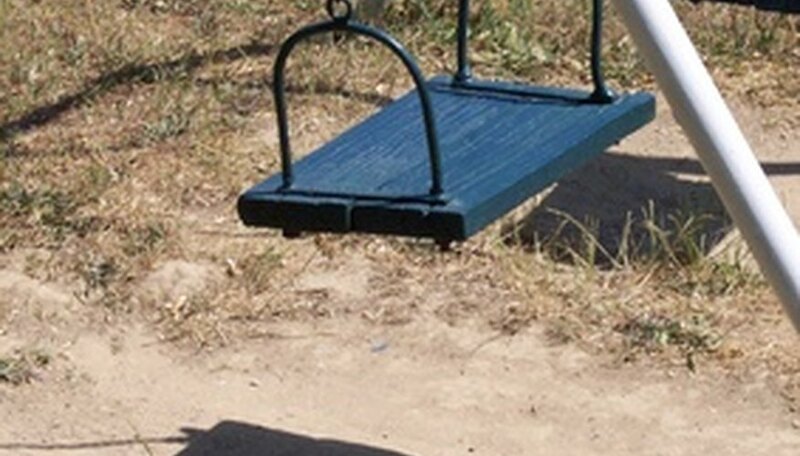 Crash spaces are safety zones beneath playground equipment that cushion falls. They have the added benefit of being so thick that grass and weeds can’t take root in them. Withhold water in areas where children play. Grass is a very thirsty plant. Lack of water combined with repeated trampling by children as they play will kill many grass and weed plants. Select an organic herbicide, such as corn meal gluten, to spread around the play area. Corn meal gluten will not harm children and keeps seeds from grass and weeds from germinating. Pour vinegar into a squirt bottle and spot-treat weeds by spraying them where you see them. The active ingredient in vinegar is acetic acid, which will poison weeds without harming children. University of Minnesota Extension: Salad Dressing or Weed Control?